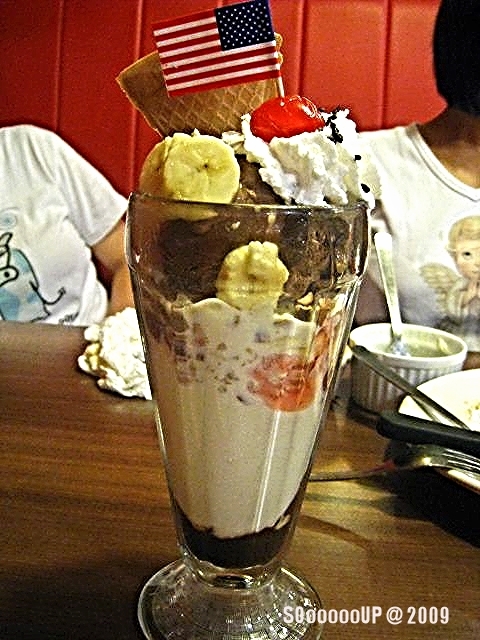 To use up all the vouchers we proceeded to Swensen, this round at Terminal 2, at one of the weekends. The place was crowded and quite a long queue but was ushered in after 20-min wait. 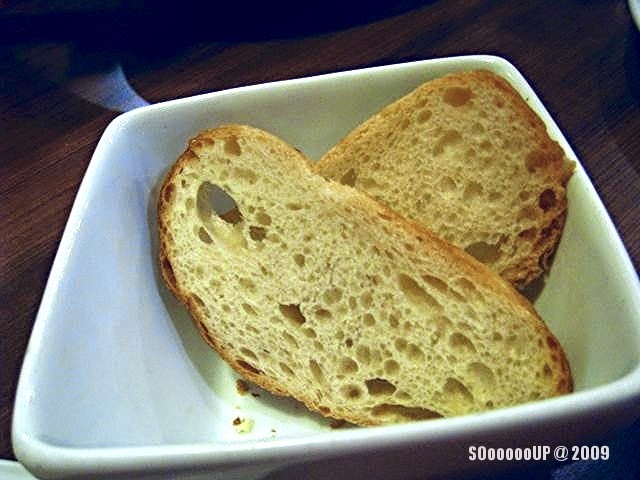 First thing on the table, after placing our order, was sliced crispy baguettes accompanied with butter. 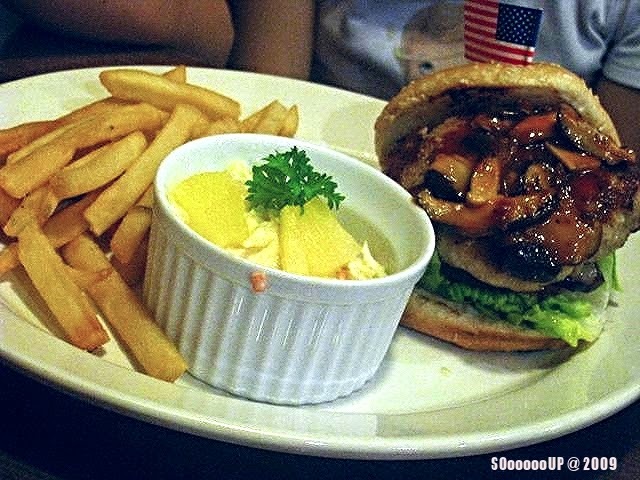 BBQ burger with potatoe crisps, accompanying with mayonnaise. The sliced pork was tender and juicy, full of smoky flavor. 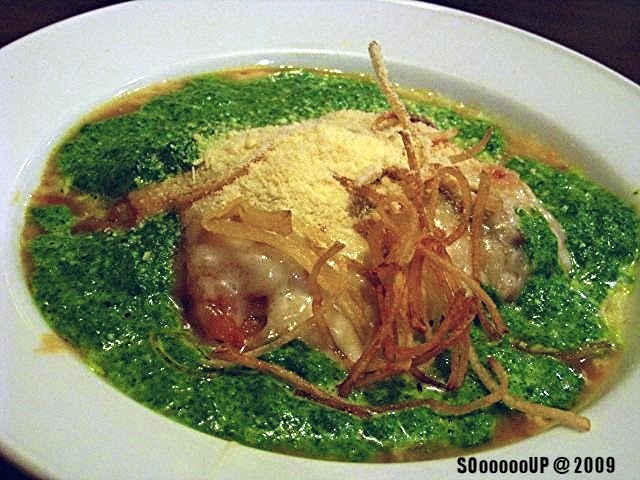 Lasagna in spinach sauce with creamy mozzarella cheese topped with thin crispy potatoe strips. 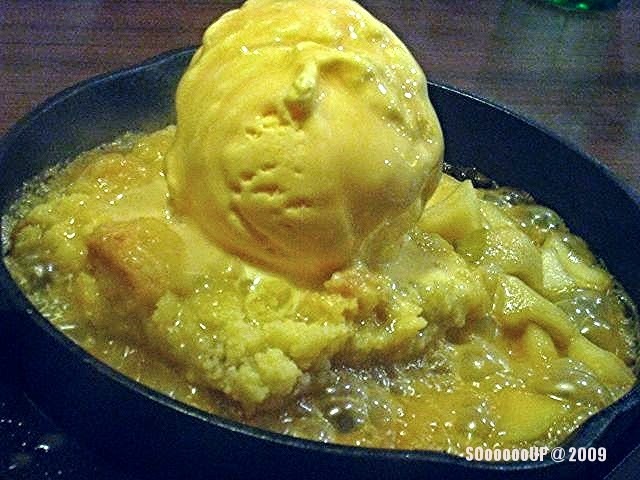 Taste licking good and not chessy. 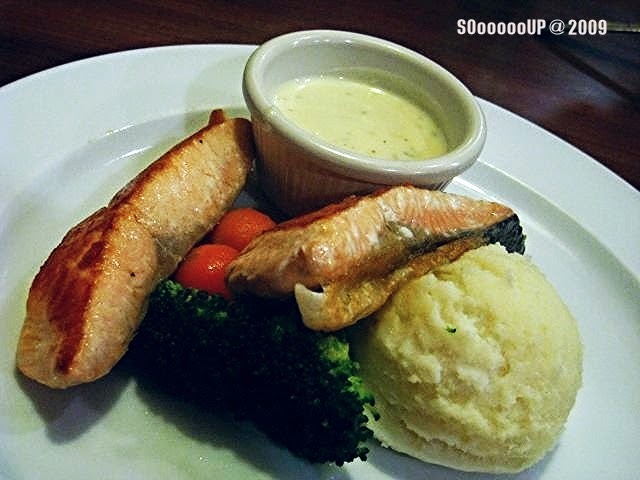 Health conscious DH chose panfried salmon with vegetables - Baby tomatoes and broccoli with mashed potatoes. Vision does not justify taste. 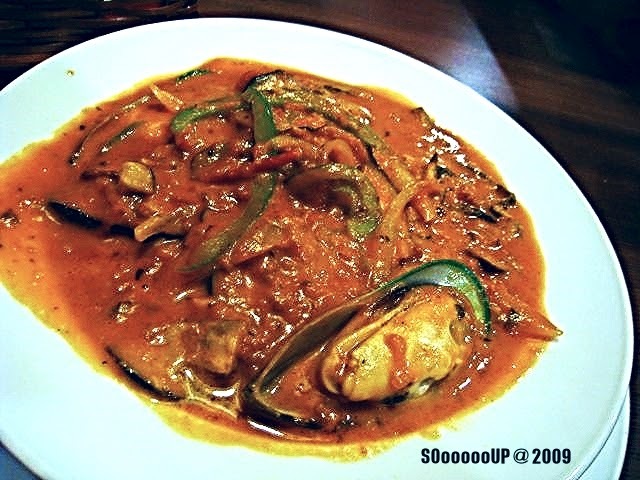 Stewed mussels in tomatoes sauce. The sauce was thick and full of tomatoes. Finger-licking good and last drop was soaked up clean with baguettes. 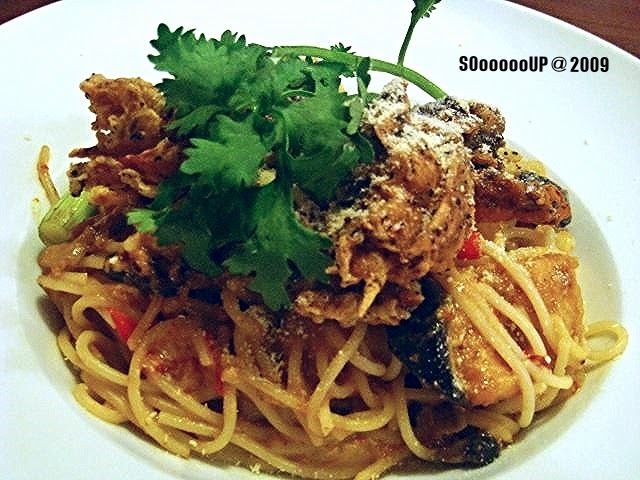 Soft shell crab with pasta. The sauce was not too thick and creamy but just enough to coat the pasta. The crab was crispy with a slight tinge of salt. 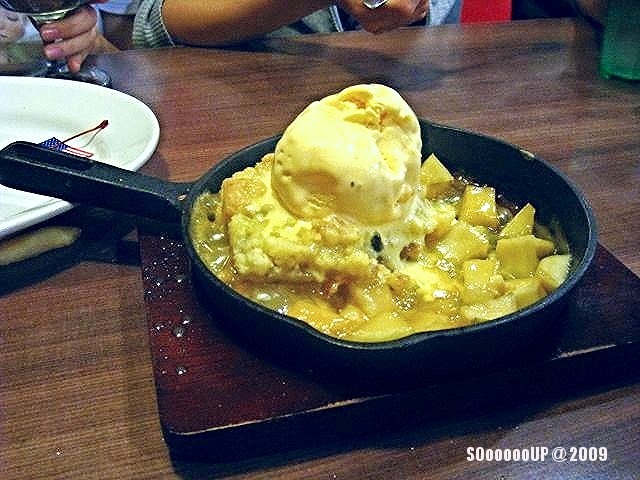 The pie was very sweet but the taste was balanced up with ice-cream and apples.